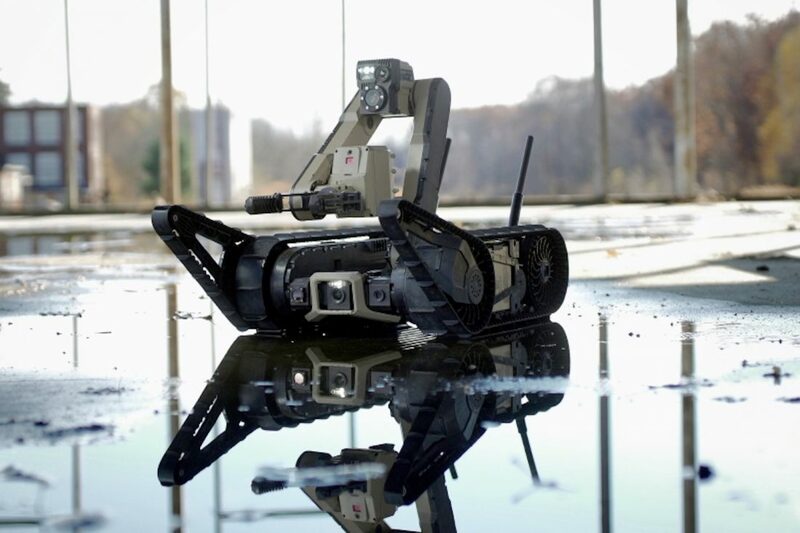 Endeavor Robotics, a military robot-maker based in Chelmsford, MA, is being bought by FLIR Systems for $385 million in cash, the companies announced Monday. Wilsonville, OR-based FLIR said the deal will bolster its growing unmanned systems business at a time when the U.S. military is increasingly planning on a robot-aided future. FLIR (NASDAQ: FLIR)—which primarily makes thermal imaging cameras and other sensors—is buying Endeavor from Arlington Capital Partners, the Maryland-based private equity firm that picked up the robotics company for about $45 million when iRobot spun it off in 2016. Endeavor CEO Sean Bielat will continue to head the military robotics enterprise after the deal closes, which FLIR says it expects will happen by the end of March. In an interview, Bielat says a lot has changed since 2016. “This is a very different business than it was 3 years ago,” he says. The military has moved from experimenting with pilot programs for robotics and unmanned systems to “programs of record” baked into the Pentagon’s budget, and Endeavor’s vehicles have been in high demand to fill those programs, he says. Endeavor got to know FLIR over the years, in part through Endeavor’s use of FLIR-made sensors in a number of its robots, Bielat says. FLIR has operations in North Billerica, MA, not far from Endeavor’s headquarters. But it’s FLIRs latest move that’s most encouraging, Bielat says. FLIR is pushing to be more than a component provider: It wants to make the unmanned platforms that industry and the military are increasingly asking for. In January, FLIR bought Aeryon Labs, a drone-maker targeting military, industrial and infrastructure markets, for $200 million. In April, it made a strategic investment in drone software-maker software DroneSense. FLIR, founded in 1978, recorded $1.8 billion in sales for 2017, and made $107 million in net earnings, according to SEC filings. The company spent more $170 million on research that year and expects to keep making significant investments in developing technology. The Endeavor team is expected to keep its operations in Massachusetts and become part of FLIR’s unmanned systems and integrated solutions division, which has existing offices in Virginia. Endeavor says it has sold 7,000 unmanned ground vehicles, which customers have deployed in 55 countries and use to do everything from SWAT missions to nuclear site monitoring. Its robots range in size from a five pound “throwable robot” to a 500-pound heavy lift robot. The company is facing off with QinetiQ, a competing robotics venture, for a $429 million defense contract to make 3,000 robots for the U.S. Army. A decision is expected soon. The two companies may also be poised to square off in court. Last month, Endeavor sued QinetiQ for using two of its patented methods for climbing stairs.